Subsidence of interbody cages is a frequently observed and relevant complication in anterior cervical discectomy and fusion (ACDF). Only a handful of studies concentrated on the modality of subsidence and its clinical impact. We performed a retrospective analysis of ACDF patients from 2004 to 2010. Numeric analog scale (NAS) score pre-op and post-op, Oswestry Disability Index (ODI) on x-rays, endplate (EP) and cage dimensions, implant position, lordotic/kyphotic subsidence patterns (>5°), and cervical alignment were recorded. Subsidence was defined as height loss >40%. Patients were grouped into single segment (SS), double segment (DS), and plated procedures. We included 214 patients. Prevalence of subsidence was 44.9% overall, 40.9% for SS, and 54.8% for DS. Subsidence presented mostly for dorsal (40.7%) and mid-endplate position (46.3%, p < 0.01); dorsal placement resulted in kyphotic (73.7%) and central placement in balanced implant migration (53.3%, p < 0.01). Larger cages (>65% EP) showed less subsidence (64.6 vs. 35.4%, p < 0.01). There was no impact of subsidence on ODI or alignment. NAS was better for subsided implants in SS (p = 0.06). Cages should be placed at the anterior endplate rim in order to reduce the risk of subsidence. Spacers should be adequately sized for the respective segment measuring at least 65% of the segment dimensions. The cage frame should not rest on the vulnerable central endplate. For multilevel surgery, ventral plating may be beneficial regarding construct stability. The reduction of micro-instability or over-distraction may explain lower NAS for subsided implants. 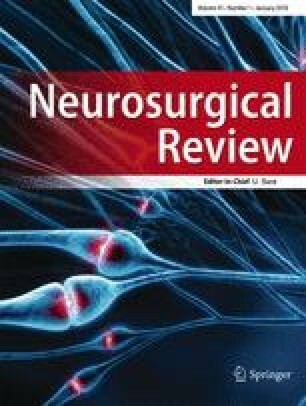 The content of this manuscript has in part been presented as an oral presentation at the Spine Section Meeting of the German Society of Neurosurgery in Berlin 3rd October 2015. In accordance with local and institutional laws and data protection regulations, no approval by the local ethics committee was necessary for this retrospective study. The study was performed in accordance with the ethical standards laid down in the 1964 Declaration of Helsinki and its later amendments. All authors certify that they have no affiliations with or involvement in any organization or entity with any financial interest (such as honoraria; educational grants; participation in speakers’ bureaus; membership, employment, consultancies, stock ownership, or other equity interest; and expert testimony or patent-licensing arrangements) or non-financial interest (such as personal or professional relationships, affiliations, knowledge, or beliefs) in the subject matter or materials discussed in this manuscript.